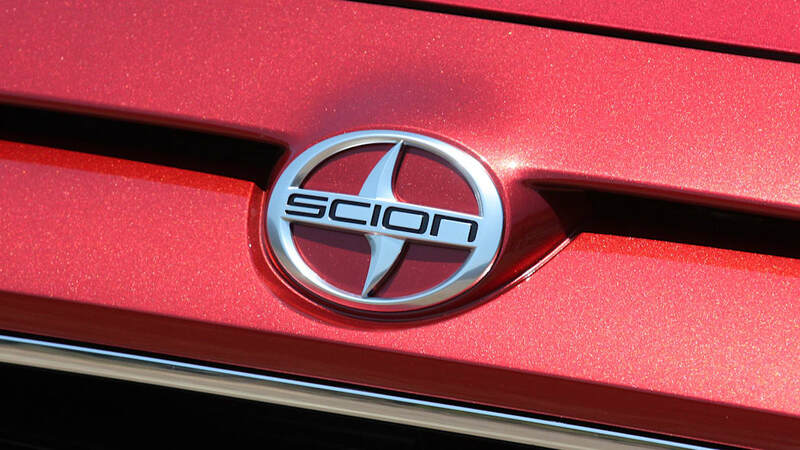 Leading up to our first test of the 2016 Scion iA, we're actually really excited to drive it. A string of "if A, then B" logic tells us this car ought to be pretty good. We drove the new Mazda CX-3 and loved it. The CX-3 is based on the Mazda2 platform. 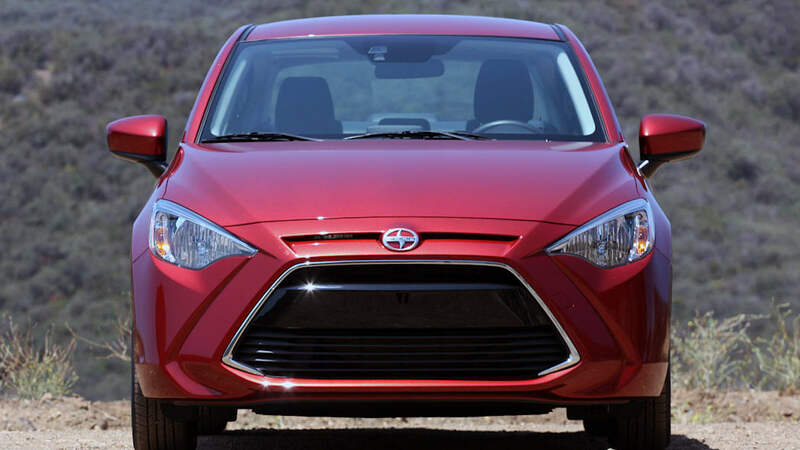 The Scion iA is a rebadged Mazda2, built in Mexico as part of Toyota and Mazda's joint venture. 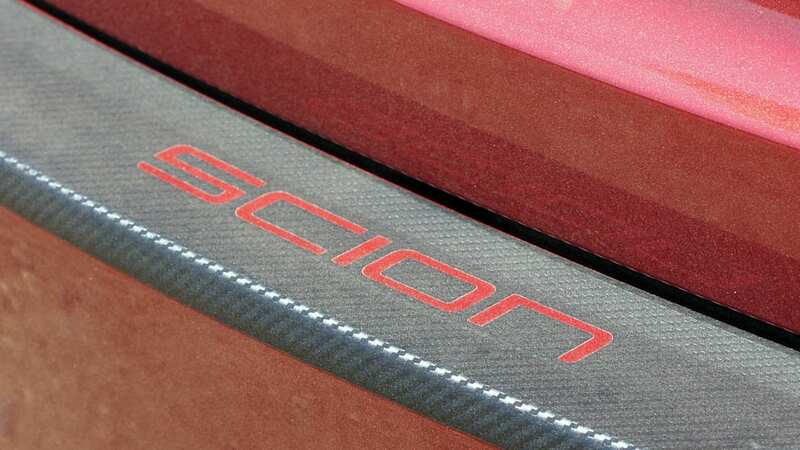 Following that line of thought, we should like this Scion a lot. And we do – mostly. 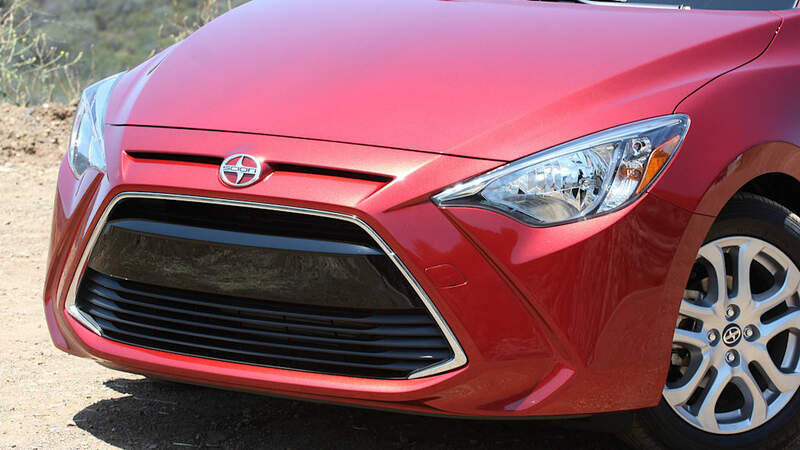 Parts of the Scion iA experience feel a lot more Toyota than Mazda. 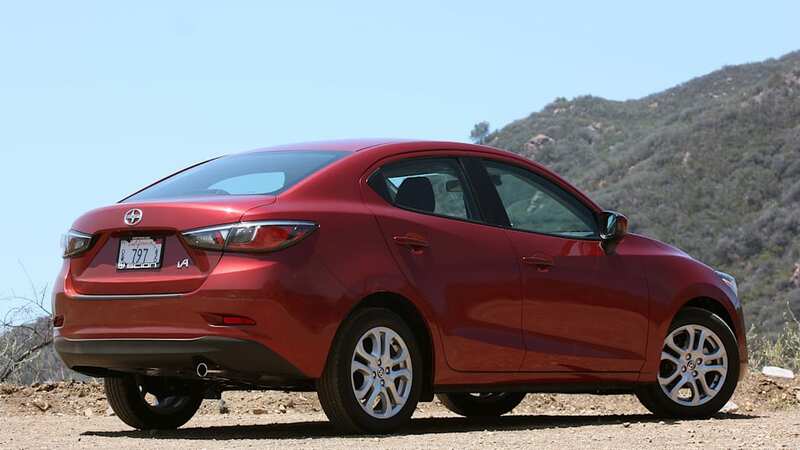 Scion executives tell us that Toyota had a lot of influence in the engineering of the Mazda2, since in addition to being the iA in the US, the car will be sold as the Yaris in other markets. 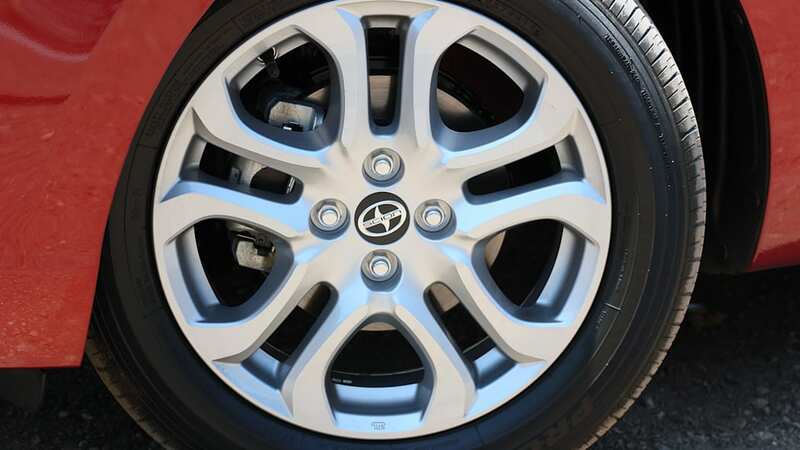 Unfortunately, that Toyota-ness comes through in the driving dynamics. 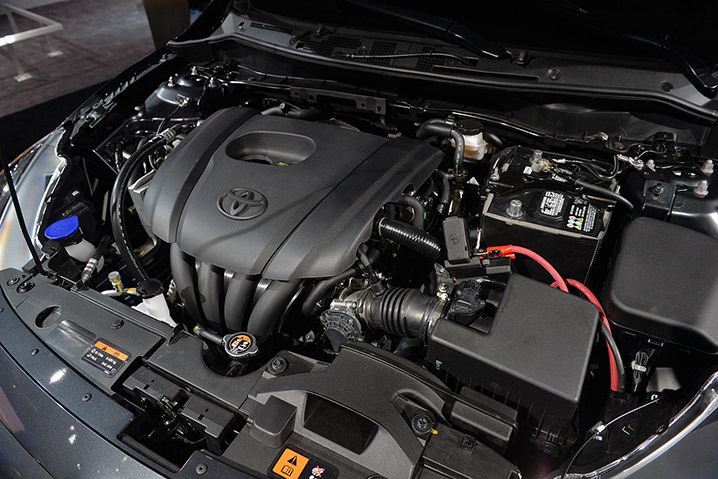 The iA uses Mazda's 1.5-liter Skyactiv-G four-cylinder engine with 106 horsepower at 6,000 rpm and 103 pound-feet of torque at 4,000 rpm. On the canyon roads near Malibu, CA, we're putting pedal to the metal; uphill acceleration is unsurprisingly poor for a car with meager output numbers like these. Around town, 106 hp and 103 lb-ft is perfectly fine for the 2,385-pound iA. And it allows the car to return impressive EPA-estimated fuel economy numbers of 33 miles per gallon city, 42 mpg highway, and 37 mpg combined with the six-speed automatic transmission. Should you choose the six-speed manual, those numbers only drop to 31, 41, and 35, respectively. 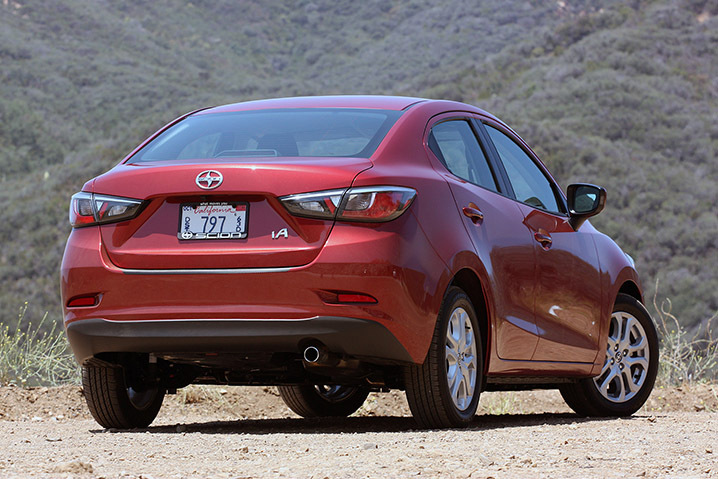 The six-speed stick is all Mazda, and we love it. You should choose the manual, by the way. 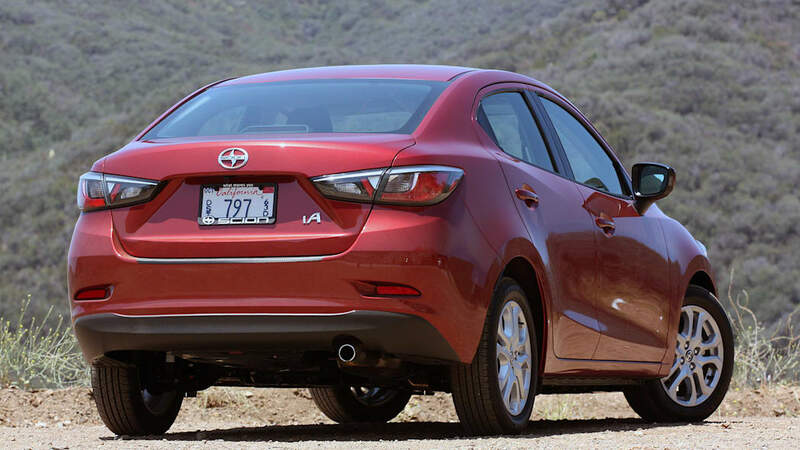 The six-speed stick is all Mazda, and we love it. Gear throws are short and snappy, and the clutch has a nice weight and crisp action. Driving the manual iA back to back with the six-speed iM really points out that Mazda makes a far better manual transmission than Toyota. Great gearbox aside, on these canyon roads, we're feeling a bit let down. Never mind the acceleration issues, the iA just doesn't feel like a Mazda in the turns. Credit where credit's due: the steering is really nice, with a solid feeling on center and crisp turn-in and lots of feedback throughout the entire range of motion. But we're remembering the solid, planted feeling the CX-3 exhibited when we hustled it along the mountain roads of Arizona. And we aren't feeling it here in the Scion iA. 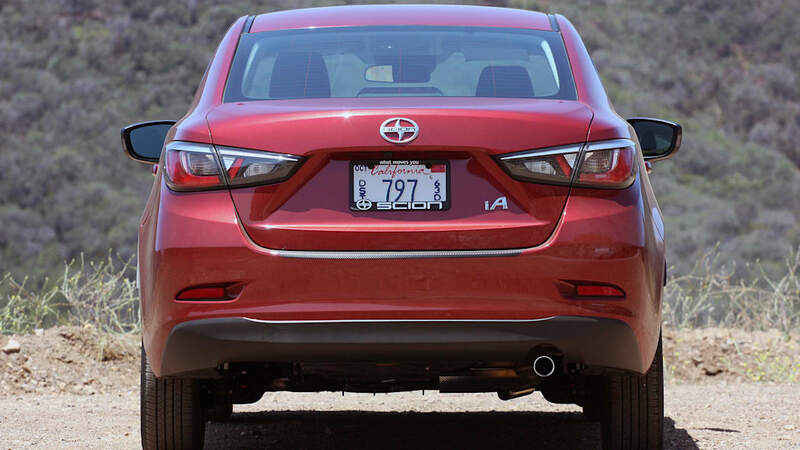 Maybe it's the smaller rolling stock – 16-inch wheels on 185/60-series tires compared to an 18-inch setup on the small CUV – but the Scion exhibits a lot more body roll than we come to expect from a Mazda-engineered car. There's a MacPherson strut suspension setup in front, and a torsion beam out back, just like the CX-3. This was fine in CUV duty, but in the iA, understeer is far more apparent, though the rear end does stay nicely planted during hard braking. 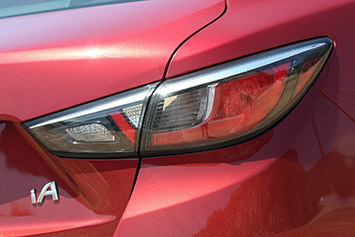 The new fascia puts too much visual weight on the front of the car, so it looks out of balance. None of this is terribly off-putting, given the Scion iA's mission. 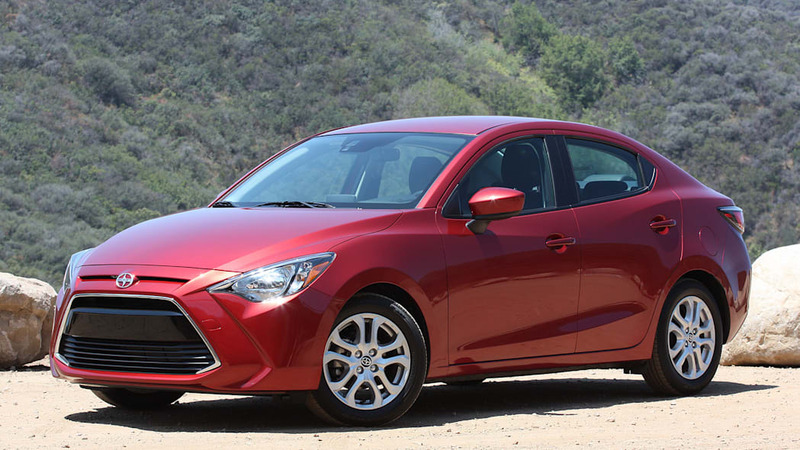 And without knowing specific details about tuning – many specs for the Mazda2 and Scion iA are still unreleased – it's hard to say exactly how much Toyota influenced the driving dynamics. Comparing the iA to the CX-3 obviously isn't an apples-to-apples example, but there should be some commonality between the two. Perhaps we're expecting too much. Or maybe these duller dynamics are why Mazda is hesitant to bring the 2 to our market, where it's made a very solid claim as a company that values driver engagement above all. Oh well. 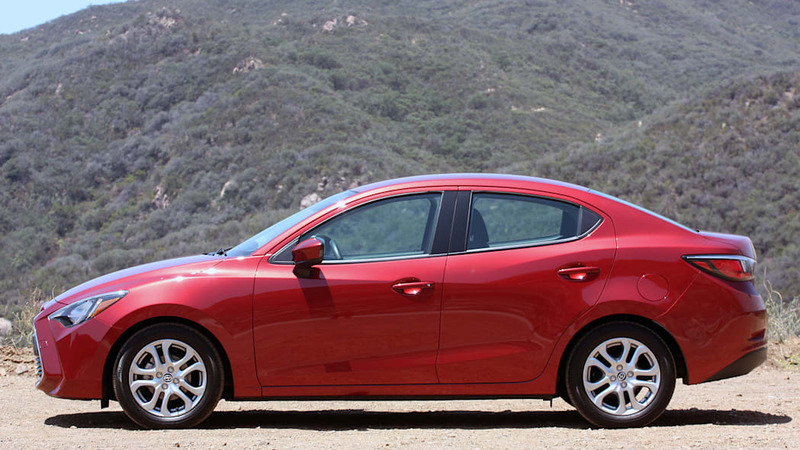 The Scion iA and Mazda2 are exactly the same just about everywhere else. 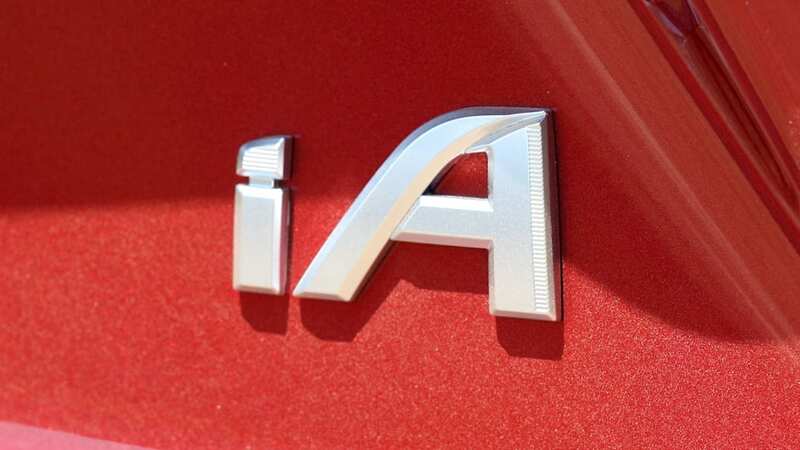 The most obvious – and most offensive – differentiation is right up front, where the iA wears a restyled schnoz that's pretty darn ugly. 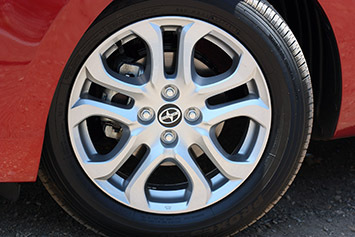 Scion tells us that focus group participants gave this design positive praise, but we can't see how. It's like a sucker fish. Or some "gaping maw" metaphor. 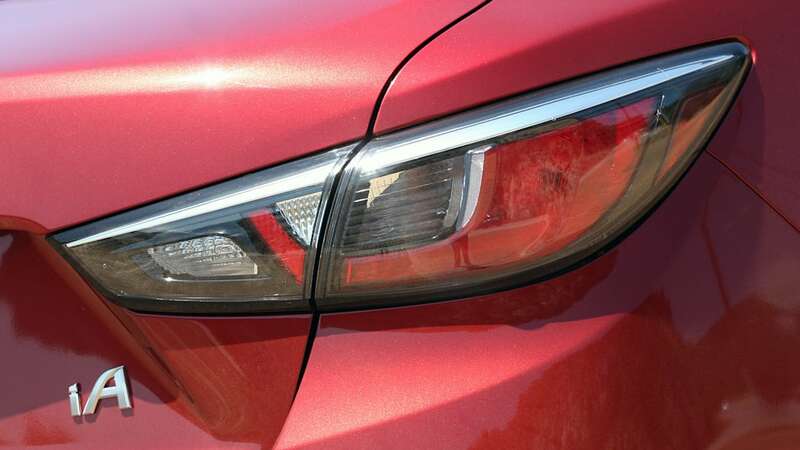 Beyond that, the new fascia puts too much visual weight on the front of the car, so it looks out of balance. 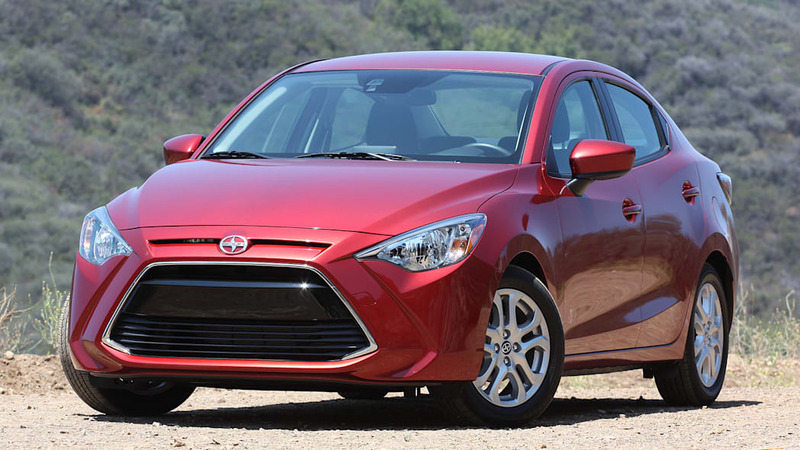 Look at a Mazda2 sedan, and then feast your eyes on the Scion iA. The beauty queen is obvious. 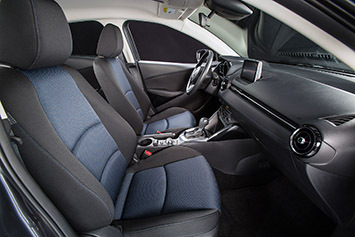 If you like what Mazda is doing with interiors these days (we do), you'll enjoy the Scion iA. 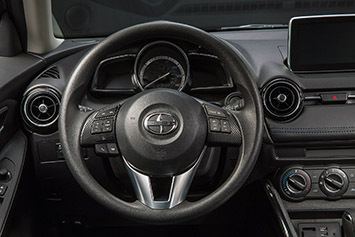 Inside the cabin, it's all Mazda – the only difference is that Scion badge on the steering wheel. 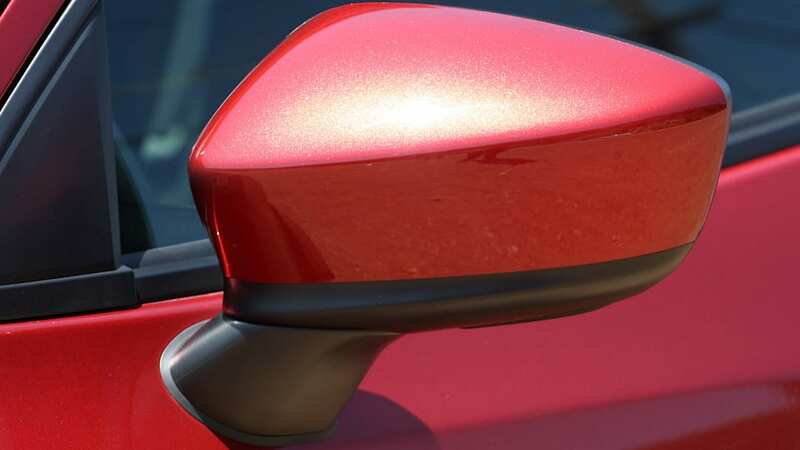 That means we're treated to the same high-quality plastics as the CX-3, not to mention the clean, simplistic layout. What's more, Mazda's infotainment screen carries over to the Scion, with the same touchscreen capability and redundant control knob and buttons on the center console. The fabrics are the same, the fonts and colors haven't changed. 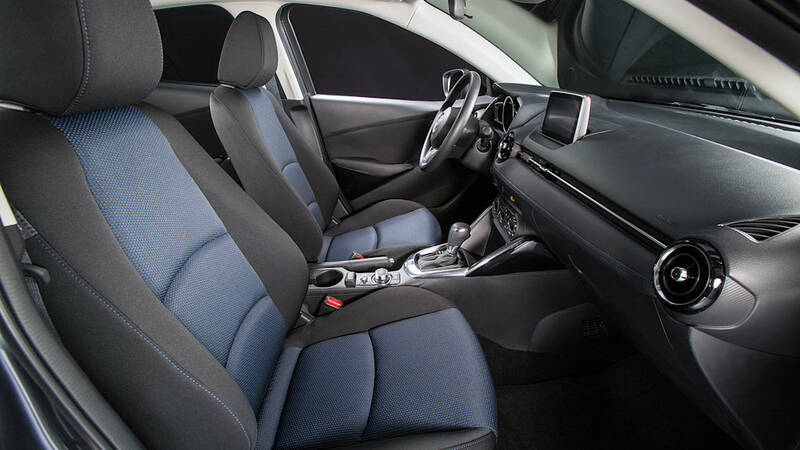 If you like what Mazda is doing with its compact car interiors these days (we do), you'll enjoy the Scion iA. 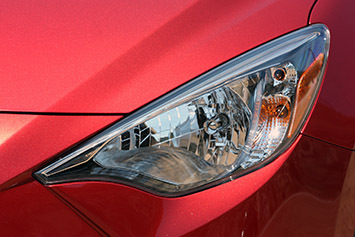 The Mazda2 comes in both sedan and five-door hatchback body styles, but we're only getting the Scion iA as a four-door. 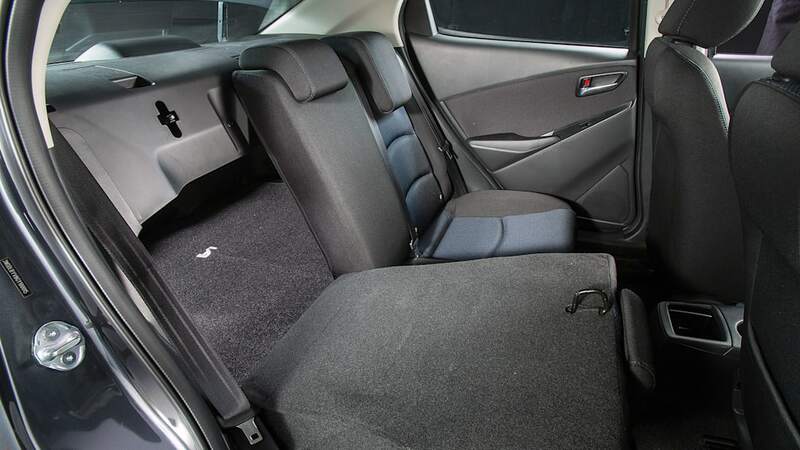 That's fine, as it's still plenty spacious, with over 13 cubic feet of cargo capacity in the trunk. Inside, driver and passenger have plenty of room, and the cabin is generally comfortable. It doesn't feel cramped, though taller folks will have issues sitting in the rear seats. This is a far better product than anything Toyota could have come up with on its own. 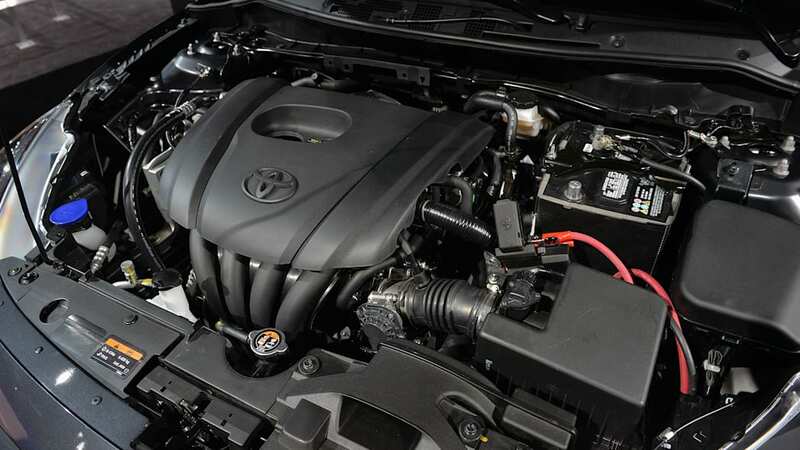 Just like every other Scion, the iA will be offered in one spec, priced from $16,495 with a manual transmission (including $795 for destination) or $17,595 with the six-speed automatic. The one configuration comes standard with Mazda's seven-inch infotainment system, and other class-required features like Bluetooth, air conditioning, and so on. But much like the iM, the iA lacks a lot of premium amenities. That's where cars like the Ford Fiesta Titanium show their value – a higher price point, yes, but with a lot more in the way of available features. 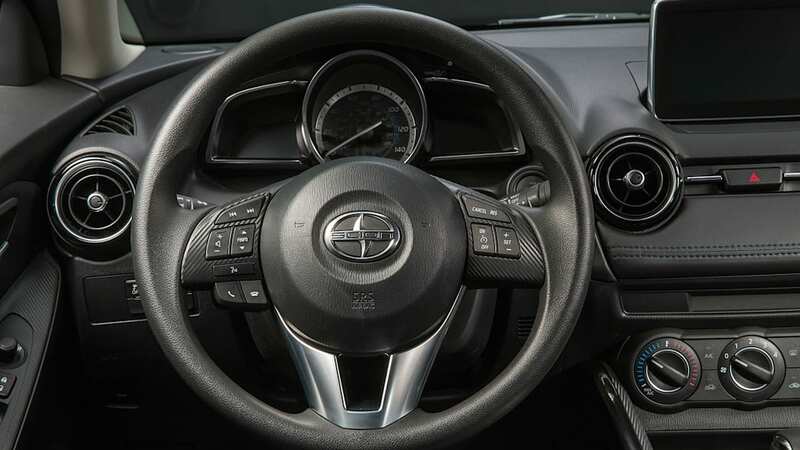 Where the Scion iA should set itself apart is from behind the wheel. But unfortunately, that isn't totally the case. It's really no better than a Fiesta in terms of driver engagement, and Ford offers a lot more stuff to attract buyers. The same can be said about the Hyundai Accent, Kia Rio, Chevy Sonic, and so on. 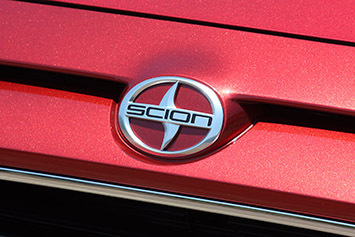 Still, Scion comes to market with a sedan that gets 42 miles per gallon and comes standard with a good amount of stuff, all for under $17,000. Given Mazda's recent track record with products like the CX-3, we'd expect better if this were coming to the US as a Mazda2. 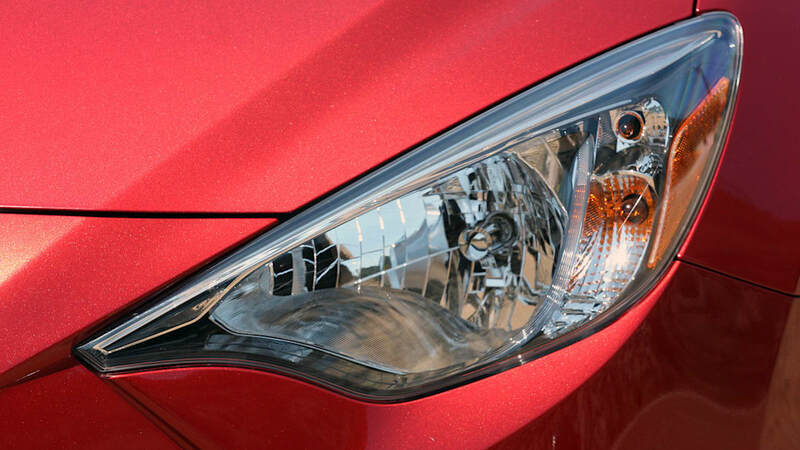 But with that Scion badge on the (homely) nose, we can overlook a lot of those shortcomings. We were hoping for more, but we still imagine this is a far better product than anything Toyota could have come up with on its own.